Providing care for seniors for the last 20 plus years, Custom Senior Care has been designed to help our community find the best caregivers to help them at their place of residence. Our high ethical standards for providing quality care for seniors will give you peace of mind when you choose Custom Senior Care. Working with Custom Senior Care was a pleasure. They helped us when we did not know where to turn. 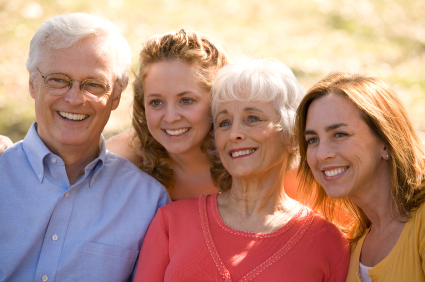 By using Custom Senior Care services, we can assist you and your loved ones to make an educated and informed decision. Custom Senior Care has provided all types of care and understands the needs of our seniors today. We do our best to provide the best caregivers to you. Our goal is to take the worry out of your decision to have care in your home. Call for your FREE consultation today. We serve Northern California's San Francisco / San Jose Bay Area including the cities of: San Jose, Santa Clara, Milpitas, Cupertino, Sunnyvale, Saratoga, Campbell, Los Gatos, Morgan Hill, East Palo Alto, Los Altos, Los Altos Hills, Menlo Park, Mountain View, Palo Alto. ©2010 Custom Senior Care. All Rights Reserved.